The summary only provides an outline of the cover. It does not detail all the terms/conditions/exclusions of cover, full details may be found in the Policy Booklet, a copy of which is available on request. Our Insurances are underwritten by either Aviva Insurance Ltd or Allianz Insurance Ltd. All policies are issued for 12 months (or as stated in your schedule, and for any period for which you renew the policy, provided you pay your premium), but you do have the right to cancel within 14 days of inception or renewal, and providing no claims or losses have been reported your premium will be refunded. The policy holder must be a permanent resident in the UK and aged 18 or over. Our polices are designed to cover you whether you are an amateur, semi-professional or professional musician. The cover offered on this Policy is All Risks within the territorial scope that you have selected and shown on your Policy Schedule. Items can be covered for premises only, UK and Europe as well as full worldwide. 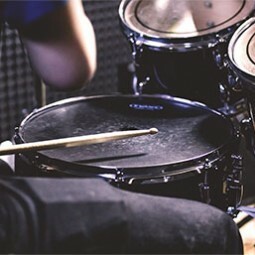 The Policy provides cover for accidental loss or damage to your musical instruments/equipment and can be extended to include theft from unattended vehicles either when journeying directly to and from the venue/music lesson or repairer or for 24/7 cover where vehicle security is fitted and activated (subject to terms and additional premium). This policy can also be extended to include Public Liability Insurance, this would provide indemnity in respect of the insured’s legal liability to third parties for accidental bodily injury and/or accidental damage or loss to third party property arising in connection with their activities as entertainers/musicians. The limit of indemnity for any one claim is £5000000. The third party property damage excess is £250.00 and there is no excess for personal injury claims. This policy excludes member to member cover. The sum insured shown on the schedule is the maximum amount payable in the event of damage or loss. Breakage of strings/reeds/drum skins & brittle items. Damage in transit unless securely packed in hard cases. Overnight theft cover if items are left at a venue unless handed to the management for safekeeping. The first £25 of a claim. Please contact us on 01246 252 868 between 9.00am & 5.00pm Monday to Friday. Our service to you Our aim is to ensure that all aspects of your insurance are dealt with promptly, efficiently and fairly at all times and we are committed to providing you with the highest standard of customer service.